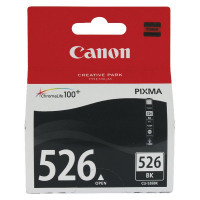 • Inkjet cartridge for Canon printers. • Suitable for: PIXMA iP4850/iP4950/IX6550/MG5150/MG5250/MG5350/MG6150/MG8150/MX885. 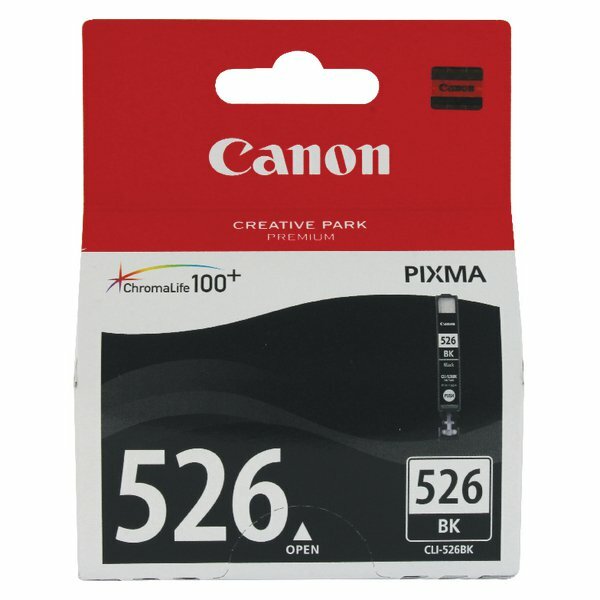 Install a genuine Canon Black 526 Inkjet Cartridge in your PIXMA iP4850 or MG series inkjet printer for long-lasting documents and photos. Using a premium-quality dye-based ink, it lets you print up to 615 pages from a single 19ml tank. Each cartridge in your printer uses Canon ChromeLife100+ technology to ensure high quality prints that are resistant to fading, so your memories will last for longer when printed on Canon paper.